You want to share that wonderful new picture to the public but you're thinking on where to upload it. Well here is a list of popular sites that you can use to share your new photo and let the others know about it. Whether it's about your previous vacation with your family or friends, a photo of you and your loved ones, or anything worth sharing, just upload your pictures to these top free image hosting and sharing sites. Invest online and make profit. 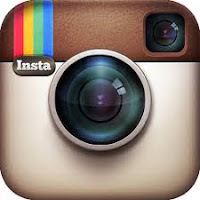 Instagram is a platform that people can use to upload their pictures and share it in public or keep it private. They started in 2010 and was bought by Facebook. Instagram is currently the most popular photo sharing service right now and they keep on getting more and more users everyday. Users can also upload short videos aside from pictures and the length limit is 15 seconds. Their app is available in Android, iOS and Windows Phone devices. 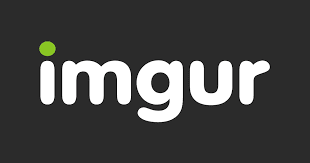 Imgur is one of the best free image hosting sites in the web. They started in 2009 and kept on expanding up to the present. They have a simple and easy to use interface and has a large database of wonderful images. Imgur is free to join but you can opt-in for a pro account to unlock new features. They also have their official app which can be downloaded via Google play and iTunes. Imgur doesn't remove your images unless you delete them. 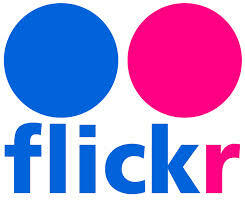 Flickr is a Yahoo owned free image hosting company that contains billions of images in their database. Aside from photos, users can also upload videos which make them work as YouTube and Imgur combined. Flickr makes it easy for their users to upload their pictures and videos through their easy to use platform. They also have their official app available for Android and iOS devices. Photobucket is one of the oldest image hosting sites that started in 2003. They also offer free video hosting just like Flickr. Photobucket offers both free and paid accounts, free accounts can have a maximum 2GB storage for photo and video uploads, while paids accounts can have bigger storage capacity, unlimited bandwidth and an ad free service. DeviantArt is the place where you will find unique pictures of people that are usually in costumes who are expressing their themselves through art display. If you like display art, cosplaying and similar stuffs, DeviantArt is the best place to choose since you will find people their that have the same interest as yours. TinyPic is a free photo sharing site that is owned and run by their parent company Photobucket. TinyPic doesn't require their users to register first before they could upload their photos but they provide a captcha security to prevent automated uploads. They also allow short video uploading, the size limit is 100MB and the video length is limited to a maximum of 5 minutes, other than that, TinyPic is a good place to share your photos online. This one is obviously owned by Google because of its name. 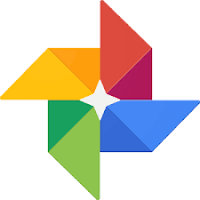 Google photos is another free photo storage service and is among the newest image hosting sites which just launched in May 2015. Google Photos was primarily created for backing up photos and videos for people who want to make a reserved copy of their files online, and since Google is a giant corporation, you can rest assured that your photos are stored in their database with the best security. We Heart It is another popular image hosting and sharing site that started in 2008. They allow their new users to sign in using their existing social media accounts, either from Facebook, Twitter or Google+, but they can also choose to register using the traditional way if they don't want to use their social media account. One of the good things about WeHeartIt is that they don't allow members to post comments on pictures that were uploaded by other members which prevents negative people from discouraging the owner with their negative comments. If members like a particular picture, they can just click the heart icon to tell the owner that they like what he/she uploaded. WeHeartIt also have their official mobile app which is available for both Android and iOS devices. Postimage is an image hosting service that started in 2004 and was created primarily for hosting images in forums. They offer free unlimited image upload and guarantees that your images won't be deleted for inactivity or unless you delete them. Postimage doesn't require their users to sign up before they could use their service. Their site can also be used for linking to auctions, blogs and other websites. 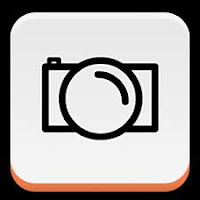 Postimage offers a software called Simple Image Upload mod that forum owners can install to their forums to ease the uploading of images by their members especially those members who are not tech savvy and doestn't know how to use the [img] bb code. Again, they guarantee that your images will never be deleted for inactivity and it will stay there as long as their site is online. 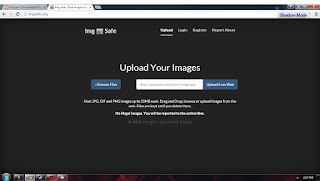 Imgsafe is another popular image hosting site that also offers free unlimited storage and bandwidth. They host JPG, GIF, and PNG images for a size limit of 20MB each. They make it easy for users to upload pictures through Drag and Drop method and they also guarantee that your images won't be removed until you delete them. 1. Be careful when you share your photos online, once you upload them to a public image hosting site, they will be there forever even if you delete them because other people might download or share it to others. If you upload your pictures and keep them private, you're still not 100% safe because the possibility of your account getting hacked is still their so just upload the pictures that you won't mind being downloaded or shared by other people. 2. Make sure you own the copyrights of the picture you are sharing online, if it doesn't belong to you and you're not sure whether the owner wants that picture to be shared online or not, then ask for his/her permission first before you share it. 3. If ever you have uploaded a photo that you regret, just remove it immediately before it gets shared by others, and if you can't remove it by yourself even if you want to, just contact the site where it is located and ask them to remove that content and explain your reason why. Remember that you don't have to go through these if you will just share the photos that aren't very personal. This excellent free image web-hosting site.